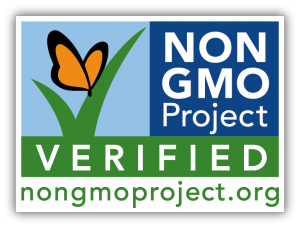 Our animals ONLY receive NON-GMO Project Verified feed so you can shop with confidence! “People are fed by the food industry which pays no attention to health; and are treated by the health industry which pays no attention to food” – quote by Wendell Berry, farmer & author. So, what is the big deal? "Why We Don't Feed Our Animals GMO feed"? To answer that question I want to thank my friends at Seven Sons for letting me share a 3-part post they recently ran in their newsletter written my Jeff Apthorp. Part 2 of 3. Last time, I provided a two minute overview of why Seven Sons (and Nature's Gourmet) Farms never exposes animals to GMO feed. We looked at how chemical companies, like Monsanto, have generated new variations of plants with DNA modifications. These DNA-altered plants are commonly referred to as Genetically Modified Organisms (GMOs). According to the US Department of Agriculture statistics, about 90% of the crops in the US are now genetically engineered, or "Roundup ready". Crops like soy, corn, sugar and canola are able to survive being coated with Monsanto's broad spectrum herbicide known as Roundup, which is primarily made of glyphosate. Some GMO plants are also designed to produce toxins that instantly destroy the stomachs of bugs, killing the bugs. In this post, I want to show how the increased use of glyphosate correlates with government data on various serious health issues. I found the data shocking. The US government tracks the amount of glyphosate used on crops. The USDA National Agricultural Statistics Service (NASS) reported a 6,504% increase in glyphosate use from 1991 to 2010. The Centers for Disease Control (CDC) tracks instances of disease. Physicist Nancy Swanson Ph.D. wanted to see how the data from NASS compared to the data from the CDC. She used the Pearson's Correlation Coefficient to produce charts overlaying the NASS/glyphosate figures over CDC data. This was done for several major diseases. The chart below plots the use of glyphosate on corn and soy against autism. I selected autism because my youngest son is autistic. The red line shows the CDC increase in instances of autism. The yellow bars represent NASS increase in glyphosate usage. Autism tracks with a 98.8% correlation to the usage of glyphosate. You can begin to see why we decided to never expose animals to GMO feed. The risk is too serious to ignore. Any good scientist will tell you that correlation does not imply causation. That's absolutely true. This chart doesn't prove that glyphosate causes disease. If the CDC/glyphosate data was the only evidence, the case would have reasonable holes, despite the close correlation. So let's consider this merely one observation that doesn't hurt the case against GMOs. In my next post, I'll tell you about an animal study that tied a GMO diet to the growth of massive tumors.